Tanks & Cylinders There are 4 products. Small 27 Cu. Ft Helium Tank/Cylinder with CGA 580 valve, carrying handle and clear-coat protective finish. Please note: We do not sell helium. Tanks ship empty and are non-refundable once they ship out. Medium 55 Cu. 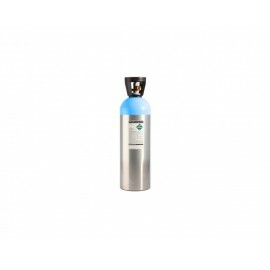 Ft Helium Tank / Cylinder with CGA 580 valve, carrying handle and clear-coat protective finish. Please note: We do not sell helium. Tanks ship empty and are non-refundable once they ship out. Large 125 Cu. 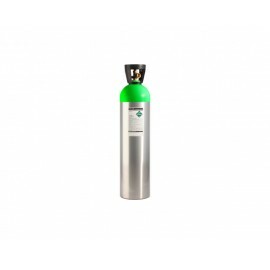 Ft Helium Tank / Cylinder with CGA 580 valve, carrying handle and clear-coat protective finish. Please note: We do not sell helium. Tanks ship empty and are non-refundable once they ship out. 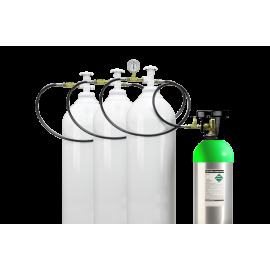 The Triple Helium Transfiller allows you to transfill your helium to smaller tanks from three large cylinders at once. The Triple Helium Transfiller is designed with a 60-in. high pressure, braided stainless steel hose system, hand tight connections, 2 monitoring gauges, plus a safety relief valve.